The brother of slain Democratic National Committee staffer Seth Rich wrote a letter on Tuesday to the executive producer of Sean Hannity's Fox News show pleading with him to find "decency and kindness" in his heart and stop spreading an unproven conspiracy theory about the unsolved murder. "Think about how you would feel losing a son or brother. And while dealing with this, you had baseless accusations of your lost family member being part of a vast conspiracy," Aaron Rich wrote in the letter to "Hannity" executive producer Porter Berry, a copy of which was provided to CNN. 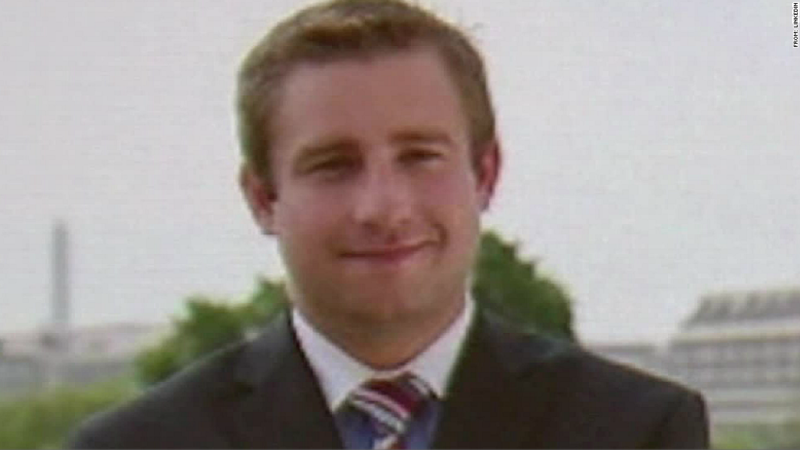 "As the family, we would hope to be the first people to learn about any such evidence and reasons for Seth's death," he added. "It is a travesty that you would prompt false conspiracy theories and other people's agendas rather than work with the family to learn the truth." Rich was shot to death last July in the streets of Washington, DC. The Metropolitan Police Department continues to investigate the murder and police say there is evidence to suggest Rich was the victim of a botched robbery. But for months, right-wing media outlets have floated unproven theories that Rich was the person who provided Wikileaks with thousands of internal DNC emails, and suggested his death was retribution for the supposed leak. No real evidence has been provided to support such claims. The theory resurfaced with a vengeance last week, in part due to an incorrect Fox News story the outlet retracted on Tuesday. Hannity and other Fox News personalities had seized on the story and have pushed the discredited theory. Brad Bauman, the Rich family spokesman, told CNN on Monday that Hannity had not reached out to the family. Hannity did, however, reach out over the weekend to invite Kim Dotcom, the Megaupload founder, on to his program. Dotcom, who is currently in New Zealand fighting extradition to the U.S., where he is wanted on charges of copyright infringement and money laundering, has claimed to have evidence Rich leaked documents to Wikileaks. Dotcom has not replied to CNN's requests for comment, but said in a statement posted to his website Tuesday that he would be willing to work with authorities. In his letter, Aaron Rich said that earlier this week he was emailed by someone claiming to be Dotcom. Aaron Rich said he asked the person to "have a discussion" with the family and law enforcement about any such evidence related to the case, but did not receive a response. Aaron Rich's letter also noted that Dotcom has been accused in the past of fabricating documents. New Zealand's Serious Fraud Office said earlier this year that an email he claimed in 2014 proved a supposed conspiracy against him was not authentic, according to the New Zealand Herald. "As such, we urge you to please, not provide a platform for a person who is known to have pushed false evidence in the past and not allow him to make a mistake like that here," Aaron Rich wrote. "Nobody wants to solve Seth's murder more than we do. However, providing a platform to spread potentially false, damaging information will cause us additional pain, suffering and sorrow. By airing this information, you will continue to emotionally hurt us." "We appeal to your decency to not cause a grieving family more pain and suffering by allowing your platform to be used by someone to drag our family name through the mud," the letter concluded. A representative for Fox News and Hannity did not immediately respond to a request for comment. On Monday, multiple journalists at the network expressed frustration to CNN that Hannity and other on-air personalties at Fox News were being permitted to peddle the discredited theory. "I'm disgusted by it," one Fox News employee said.